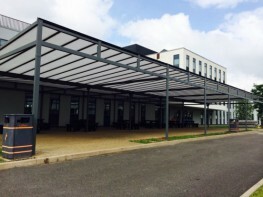 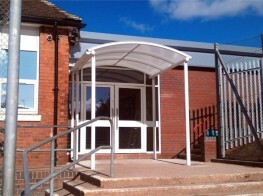 The Whiteside Free Standing Canopy is a cost effective structure which can provide up to 4 metres x 4 metres of cover from the elements. 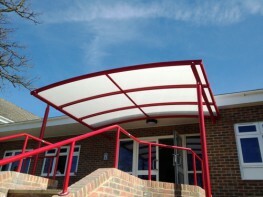 It can be used in a variety of applications including a covered area for children to play under or a seating area within schools, colleges, hospitals or care homes. 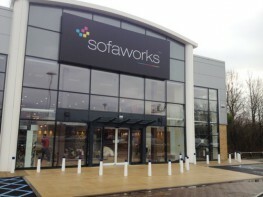 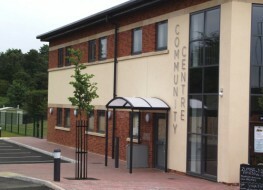 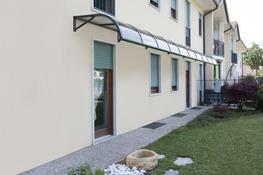 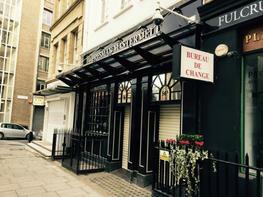 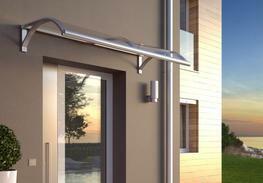 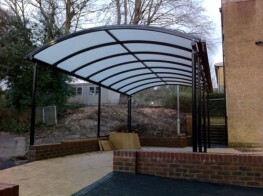 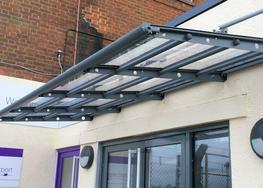 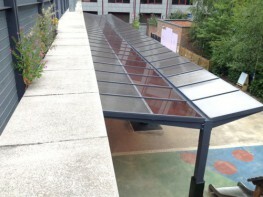 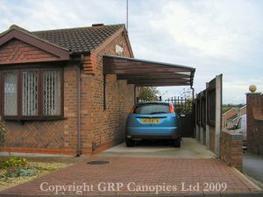 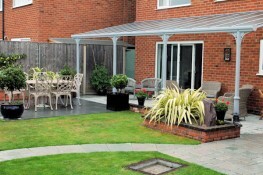 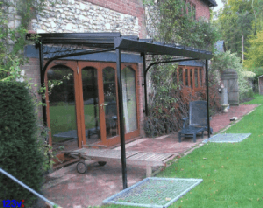 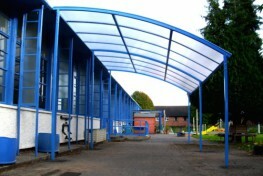 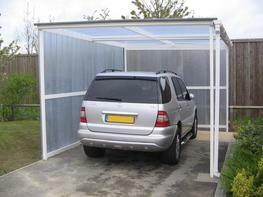 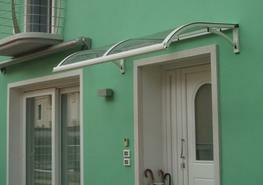 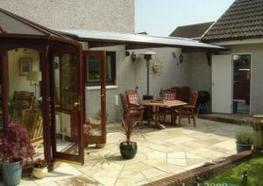 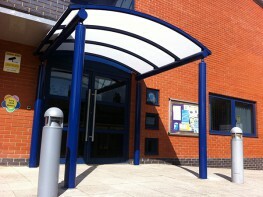 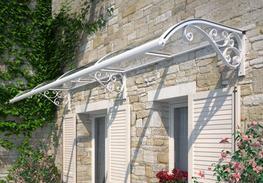 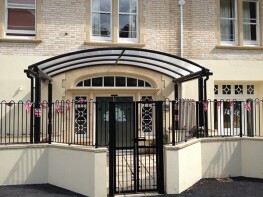 The Whiteside Free Standing Canopy can also be used as an Entrance Canopy. 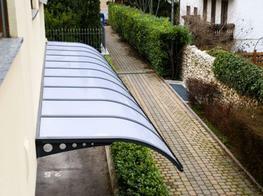 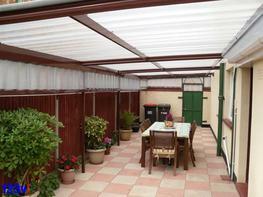 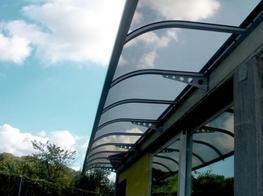 This stylish steel structure is fitted with a choice of either 16mm structured polycarbonate or 5mm solid polycarbonate roof sheets. 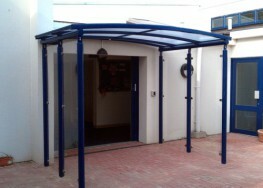 The frame can be powder coated, galvanised or both powder coated and galvanised to any standard RAL colour of your choice.